Maybe the treasure goblin will be a treasure face hugger? 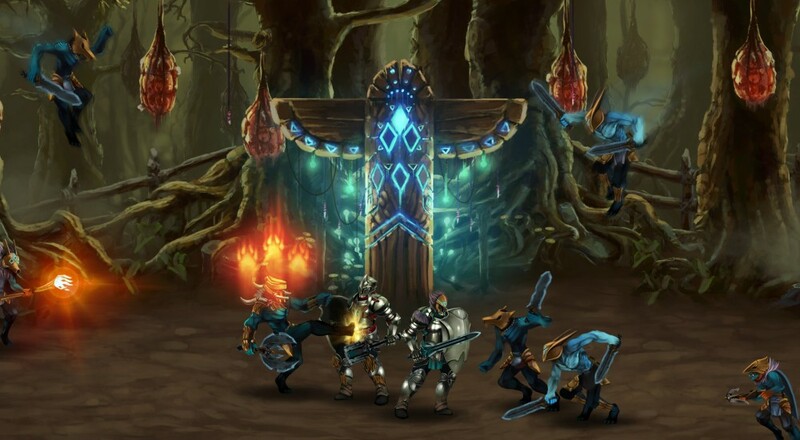 The interestingly titled Fishcow Studio is aiming to bring a new take on the classic Golden Axe with their latest title, Moonfall. Set in a "dark industrial gothic world," players will be thrust into the midst of a war between an empire and the world's natives. There's a great visual style to the game; almost a mix between H.R. Geiger and a variety of tribal cultures. The game is still a work in progress so details are a bit sparse at the moment, but the developers have confirmed that the title will support a full co-op campaign for at least two players. That number may increase depending on how development goes and some additional co-op features, e.g., drop-in/drop-out, combo co-op, may get added as well should that happen. Moonfall is slated for a 2017 release on PC, Mac, and Linux, with consoles to follow. Page created in 1.0347 seconds.